June | 2017 | Mike Lamberti, From Margate To Cleveland, And Back ! 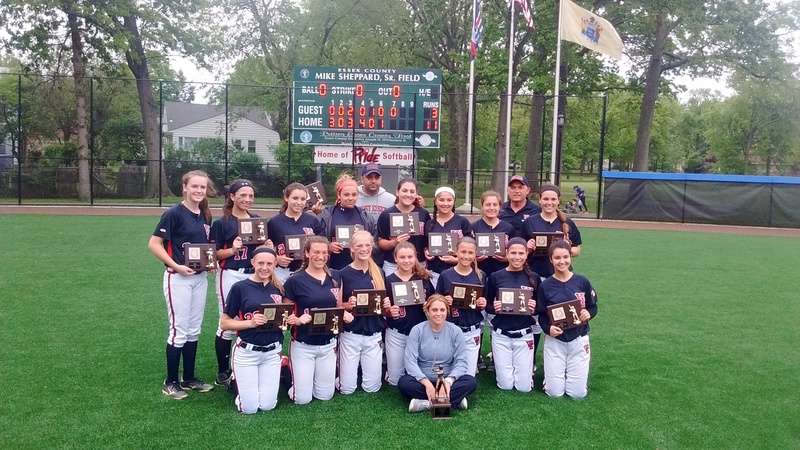 West Essex has enjoyed a level of success under head coach Andrea Mondadori Llauget over the last 13 seasons, including multiple state sectional championships, a pair of Essex County Tournament crowns, a few titles in the ultra competitive Super Essex Conference and over 230 victories. While ‘Mondo’ is the head coach, she is quick to credit her long-time assistant, and good friend, Jason Ahmed, known as ‘Jay’ to his friends and West Essex players, past and present. Mondadori also credited other assistant softball coaches in the Super Essex Conference, including Nutley’s Mike DiPiano. 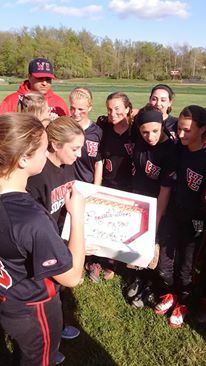 When Coach Mondadori won her 200th career game in 2016 (Jay is in the background) she called all the wins “Jay’s and mine”. For Mondadori Llauget, the camaraderie with Ahmed goes back two decades. “Jay and I both went to Rutherford High School,” said Mondo. “He graduated in 1999, me, two years earlier. He played baseball and I played softball. Our fields were opposite each other. We had a mutual friend, Mike Anderson, who comes to most of our games now. I was friends with Mike growing up, because our moms played in a woman’s softball league together. “When I got approved as head coach (at West Essex) in the Fall of 2004, I asked Mike to coach with me. He couldn’t so I asked Jay. I was 24, he was 22. I’ll never forget the first game we had. Mind you, we had a stud pitcher, Danielle Bertscha. but a very young team. We went to play Morris Knolls and were 10-run ruled so fast that we didn’t know what hit us. We sat down and said ‘what the heck are we doing’? “We needed to figure it out. We had a parent on the team, Mr. Disanti, who was probably the best guy we’ve ever met and his daughter (Jackie) was the starting shortstop. We were spoiled with him because not every parent is like that. He was so helpful and supportive. Every step of the way, Jay and I made decisions together. But my name is always in the paper, and my name is always the one getting the credit, but every win and loss we had was together, so all of the success we had, was not to my credit only. We’ve made incredible friendships along the way with past and former players, and I can honestly say Jay is the brother I never had.” (Mondo is the oldest of three girls). As the years progressed, Jay and Andrea’s lives made a natural change. “A few years ago my husband (Mike) and I wanted to start a family,’ Andrea said. 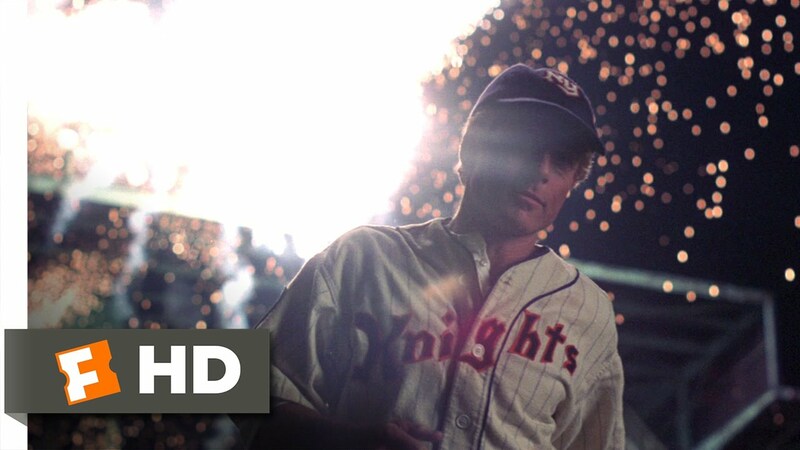 “And I never knew what the timing had in store, so if Jay ever had to take over, he would have to coach third base. After Bridget Betley hit about 12 foul balls ripped down the left field side, I knew my days were numbered over there. So, we made the switch. (Andrea and Mike welcomed their first son, Colt, in September of 2016). “But we have the perfect arrangement in the way we run this program. We have so many responsibilities that we each do. I can’t even imagine being a head coach and not having someone like that. I give all the credit in the world to the people who do it all themselves. Jay calls the pitches, coaches third base and breaks down scouting. Nice words from a head coach who will forever cherish a great friendship. When a student finds his or her dream college, there is usually a message attached. 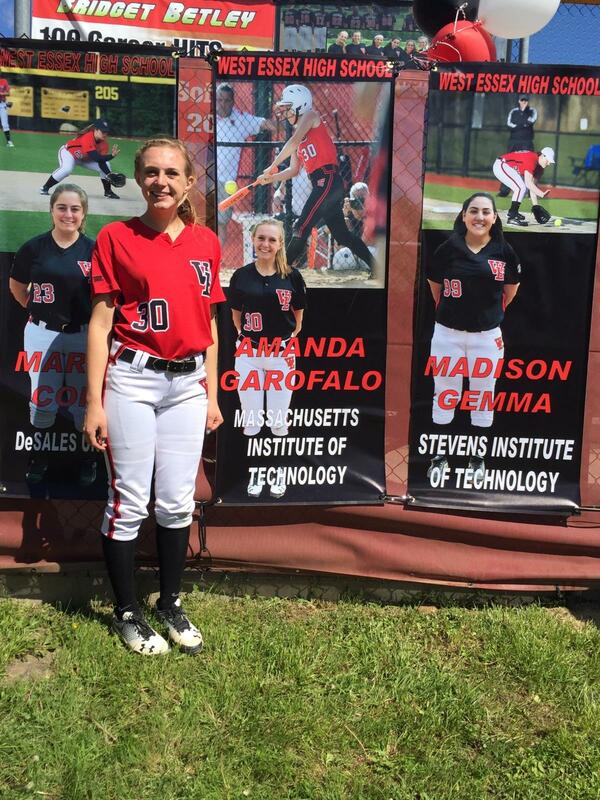 For Amanda Garofalo, a recent graduate of West Essex High School and a brilliant student, the ratio of the circumference of a circle to its diameter, also known as Pi, convinced her that the Massachusetts Institute of Technology (MIT), in Cambridge, Mass, was the place for her. 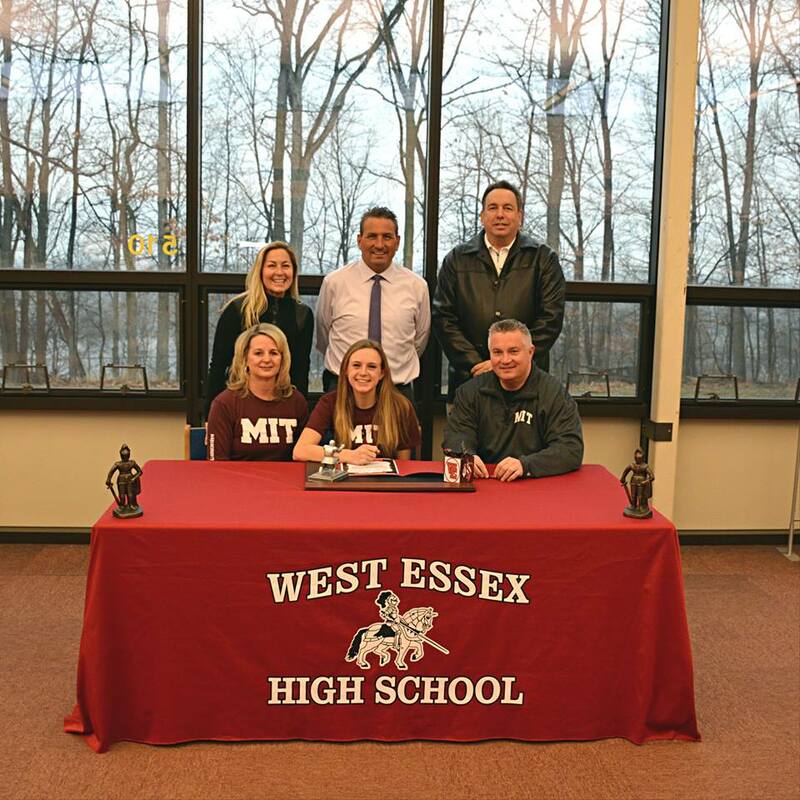 Garofalo made her official announcement that MIT was her college choice three months ago. She’ll begin classes this fall, while also playing field hockey there. While enjoying the moment at school last winter, with her mother, Michele, dad, Bill, along with Amanda’s field hockey coach Jill Cosse and West Essex athletic director Anthony Minnella, Garofalo, with that ever-present smile on her face, politely explained why Pi was so relevant. But, as usual, Amanda was right. And even I know that 3.1416 x 2 = 6.28. (Or thereabouts). See? You learn something new every day. But Garofalo, who clearly loves Mathematics and Science, and will major in Engineering in college, is also a tremendous athlete. 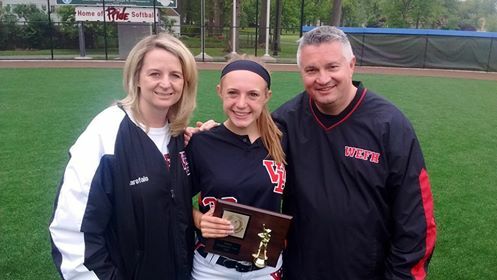 In the fall, she was a team captain of West Essex’s marvelous run to the Tournament of Champions crown, as the Knights stunned perennial powerhouse Eastern, 2-1, in the championship game, to cap a 24-1 season. In the spring, she was the speedy centerfielder of a very good softball team, which won a second straight Super Essex Conference title in 2017. A year ago, the Knights also won an SEC crown, as well as an Essex County championship and the North Jersey, Section 1, Group 3 championship. Amanda was considering MIT, along with Stanford and a number of other top quality schools. Cosse, who throws compliments around with the ease of a manhole cover, bubbles when it comes to Garofalo, the athlete and more importantly, the person. Amanda’s parents are both successful accountants, yet her father kids that he doesn’t understand where his daughter gets her incredible aptitude. The four team captains for West Essex field hockey are all headed to outstanding colleges. Lia Sinisi will attend Michigan State, Lizzy Cimilluca is off to Iowa and Jordyn Thies will attend the University of Pennsylvania. 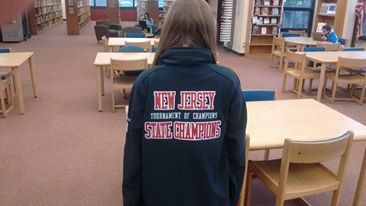 Amanda proudly showed off her Tournament of Champions field hockey jacket in early February. “Obviously, a very special class,” said Cosse of the 2016 Knights run to history. MIT field hockey coach Cheryl Silva was also pleased that Garofalo will be playing for the Engineers this fall. 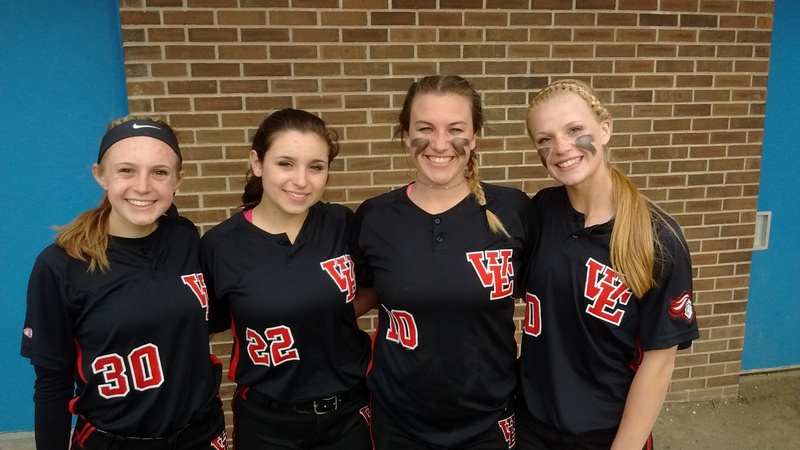 West Essex softball coach Andrea Mondadori echoed Cosse’s sentiments on Garofalo. In the long history of West Essex as a dynamic academic school, Amanda is one of the first to be attending MIT. And that, along with a simple Pi equation, says it all about a very talented and classy young woman. Congrats, Amanda ! All the best. 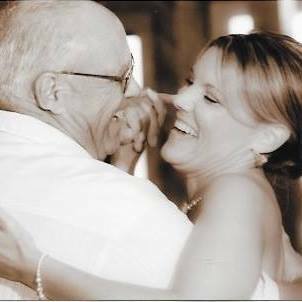 When Joe D’Ambola passed away on Dec. 23, 2016, his daughter, Michele D’Ambola Topolski shared a beautiful poem about her dad. On this Father’s Day, it’s only appropriate to share her words on a wonderful guy. Happy Father’s Day, Joe !!! Indeed, A Special Man. An age is just a number without a shadow of a doubt! And yours you’ve led with nothing less than honor, pride and dignity! The roles never seem to end! With your friends, family and your wife! Brighter than the highest star! And know that we all love you more than words can ever say! (I wrote this for my dad when he turned 60. Every word of this is true! He showed me how to be a better person! I will love him forever & I hope that I always will always make him proud! 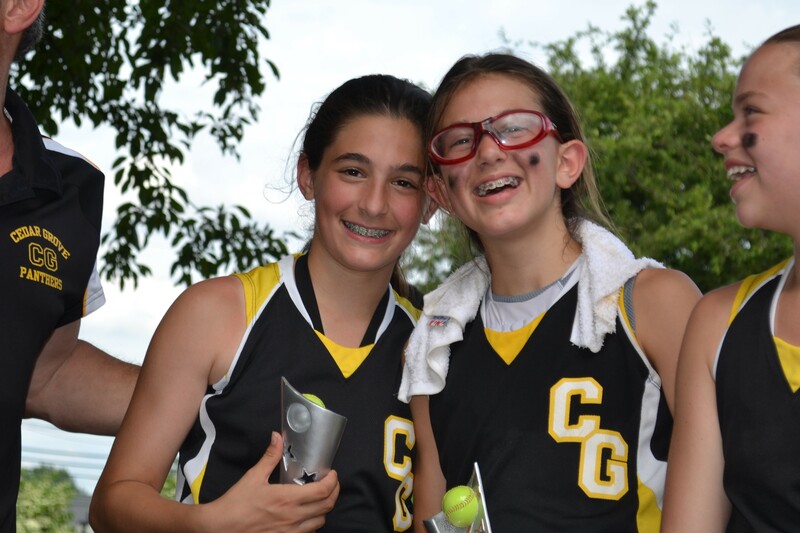 Mia Recenello and Mia Faieta grew up in Cedar Grove, NJ. They played youth softball together. They live about a 5 minute drive from each other’s home. Their families are close friends. They have the same first name. They each have a younger sibling. They’re both high school sophomores. 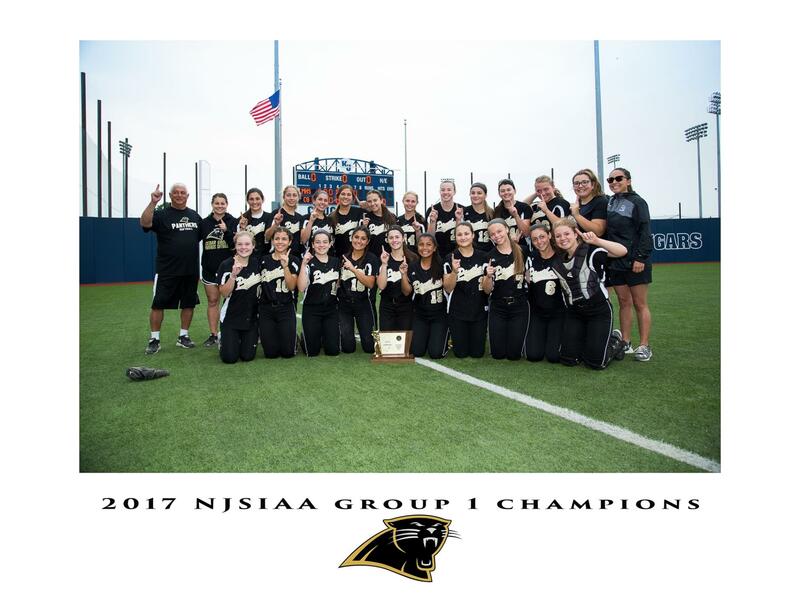 And when the inaugural NJSIAA Tournament of Champions for softball begins on June 6, at Ivy Hill Park, on the campus of Seton Hall University, both will have the honor of playing on the grandest of stages. But, they won’t be playing for the same team. It’s true. Recenello, dubbed ‘The Natural‘ for a walk-off homer that hit the scoreboard during a game this season, plays at Immaculate Heart Academy, in Bergen County’s Washington Township. Faieta, AKA ‘California Chrome‘ for her stud work in the circle, pitches for her home town team, Cedar Grove High. They’ve both been integral to their team’s incredible seasons. 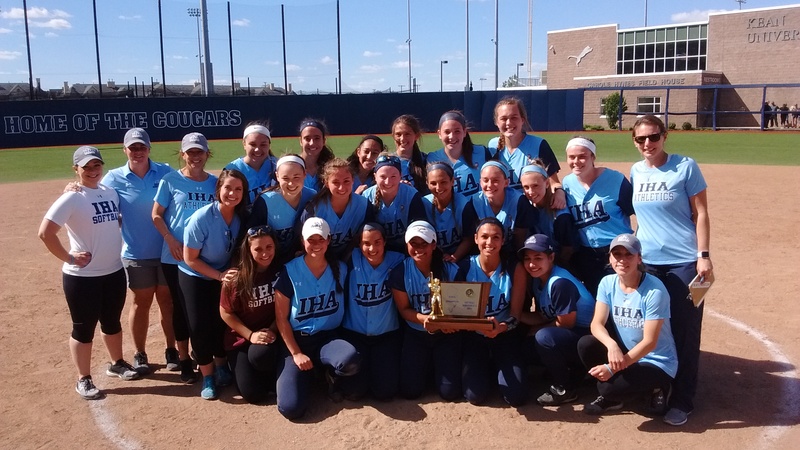 Despite battling a virus, Recenello, the team’s catcher, homered in the second inning of the Non-Public A championship game to give IHA a 1-0 lead. 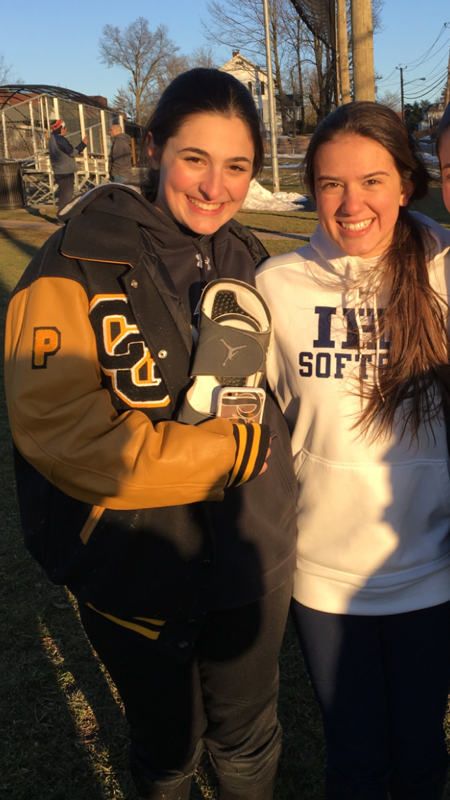 She also made three tremendous grabs of tough pop ups to secure key outs, as IHA defeated powerful Donovan Catholic, 5-1, for its third straight group championship. The following day, it was Faieta’s turn. 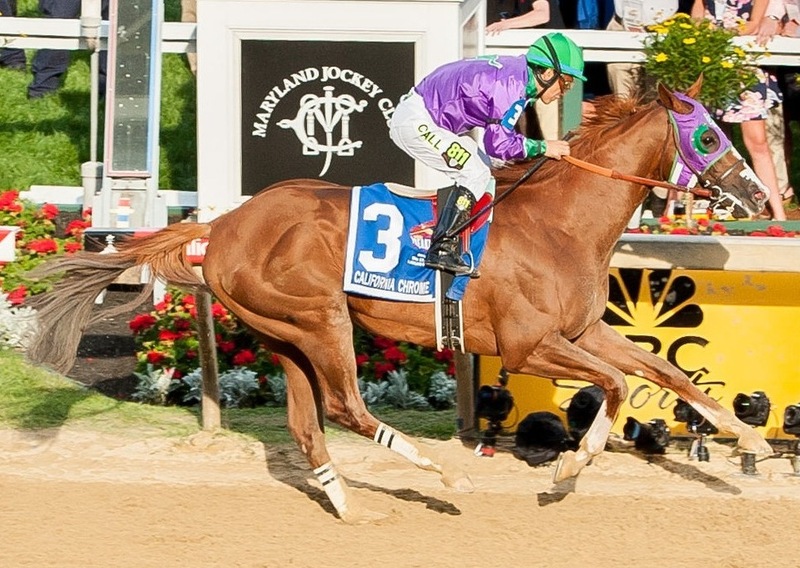 ‘Chrome’ was untouchable again, with that wicked riser. 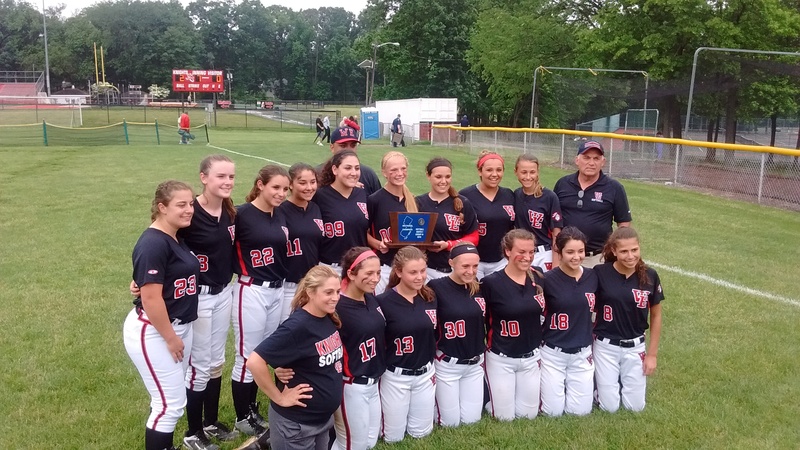 She struck out 13 and spun a perfect game as the Panthers defeated a tough Metuchen team, 4-0, for the program’s second Group 1 championship in the last three years. Faieta’s run in the state tournament has been legendary. 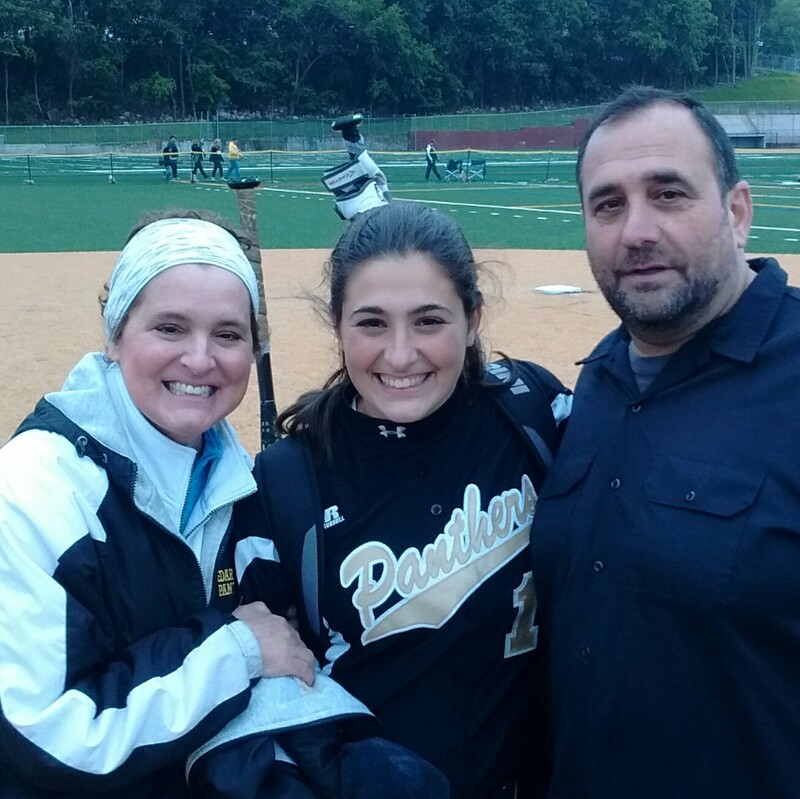 She’s pitched three perfect games, including the 21-for-21 game in the sectional semifinal, when Faieta fanned every batter she faced, over seven innings. She also leads the state in strikeouts. And now, with the advent of the Tournament of Champions, both ‘Mias’ (as Faieta’s mom, Fran likes to call them) will continue their season this week. IHA earned a first-round bye while Cedar Grove will play in the first round of the T of C, opposite a really good Robbinsville team, which won the Group 2 title. If Cedar Grove prevails, it would play IHA in the semifinals on June 7. And the batterymates that never were, on the high school level, could get a chance to meet up. The teams have scrimmaged, but haven’t played each other in the regular season. 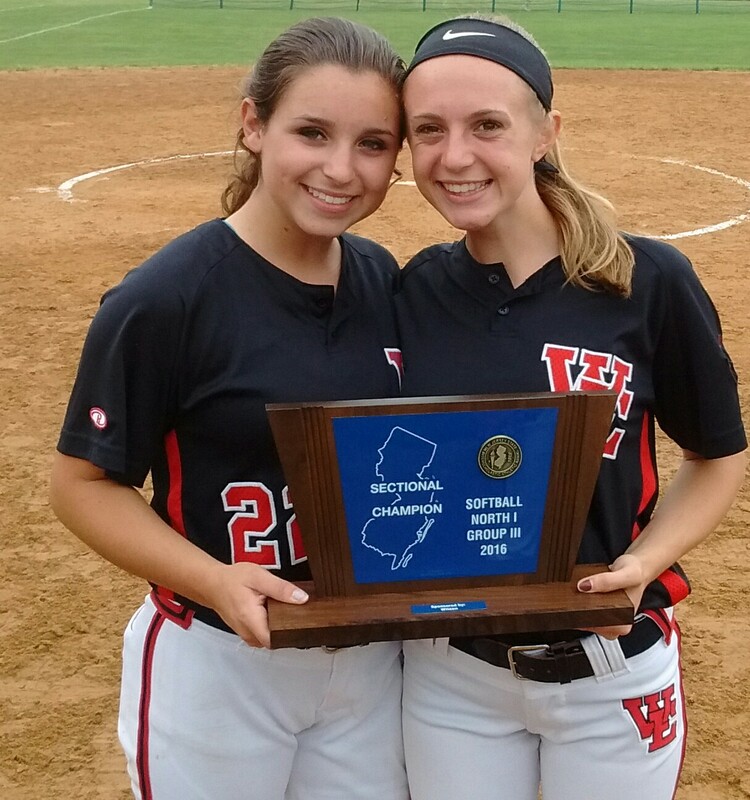 Recenello, the daughter of Kristen and Sam Recenello and older sister to Talia, herself a rising softball talent on the Suburban level, speaks fondly of a long-term friendship with Faieta. The camaraderie between the two was evident. 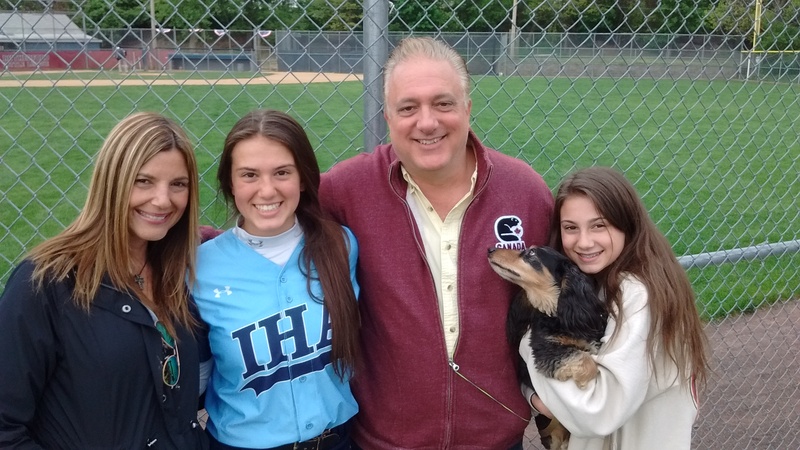 Fate would intervene, when Mia Recenello met legendary IHA coach, Anthony LaRezza, while still in middle school. The chance to play for LaRezza in high school was difficult for Mia to turn down. 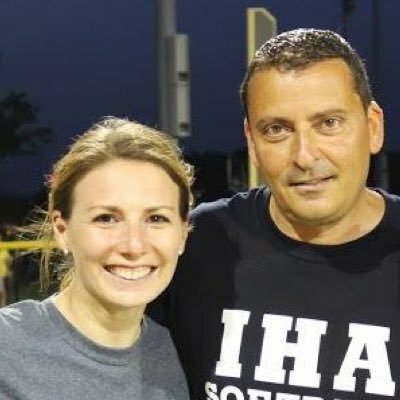 Anthony LaRezza, here with IHA head coach Diana Fasano, then LaRezza’s assistant, was a big influence on Recenello’s decision to attend IHA. (Sadly, Mia didn’t get the chance to play for LaRezza, as Anthony died in Feb., 2016. But Mia, like all her teammates will say, plays for Anthony, every time out). And Mia Faieta, the daughter of Fran and Paul Faieta and older sister to Alex, himself a freshman at Cedar Grove, speaks volumes of ‘The Natural’. Similar to Michael Jordan being cut from his high school team, Faieta chuckles when she recalled that both she and Recenello were cut from their first softball team, in sixth grade. While they both were part of a state championship last weekend, they haven’t had a chance to congratulate each other. Yet. 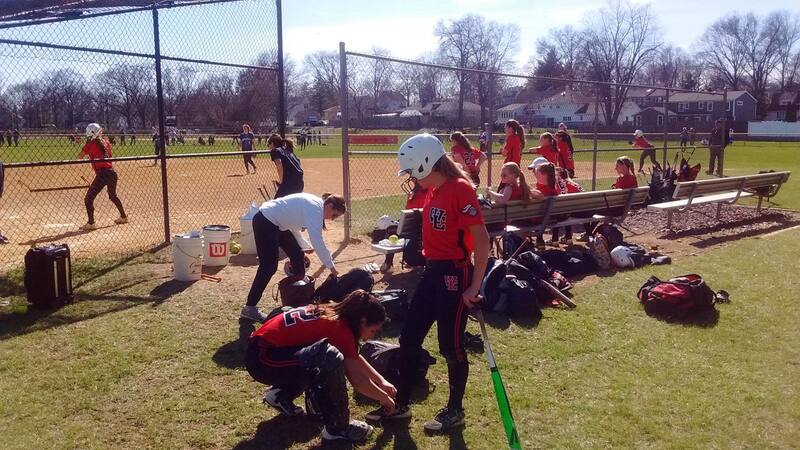 “I know people are saying we could play them in the semifinals,” said Faieta of Cedar Grove taking on IHA. “But we have a big game coming up, first, against Robbinsville, and they’re very good. I am friends with a lot of the girls on IHA. They’re really good people, too. The families are always supportive. Recenello’s success is constantly echoed on Fran Faieta’s Facebook page, as is Faieta’s pitching on Kristen’s social media. And Fran Faieta was quick to reply. Long after the games are played, the friendships will remain intact. It’s what growing up together and being a part of wonderful families will do.